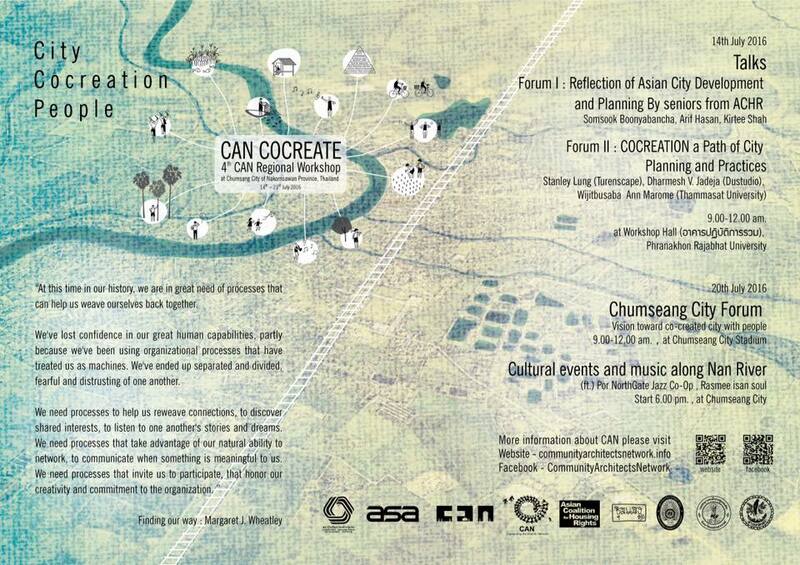 The 4th CAN Regional Workshop will held at Chum Saeng City, Thailand under the concept of “CAN COCREATE”, this July. “CAN COCREATION” is the process of co-creating and design between man and nature with profound understanding and respectful. It is a key stones for sustainable development that reflecting on community and city planning in practice concerning participation, regenerative and rehabilitate of the abundance of nature and people culture. 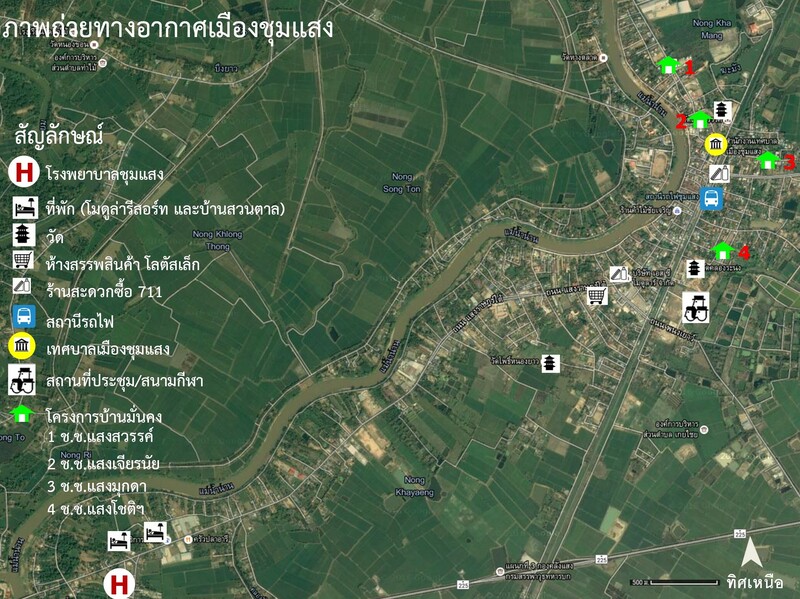 The 4th CAN Regional Workshop will be held at Chumsang City, a small city of Nakornsawan Province located on fertile basin of Choa Phra Ya River. Chumsang City can be the representative of any small cities in Asia that facing development pressures like insecure housing, unplanned city, losing heritage, pressure of urbanization over the agriculture land, and flooding from the climate change. This workshop will be participated by community architect and professionals from 15 Asian countries together with community people and network in Chumsang, in total there are around 100 participants. 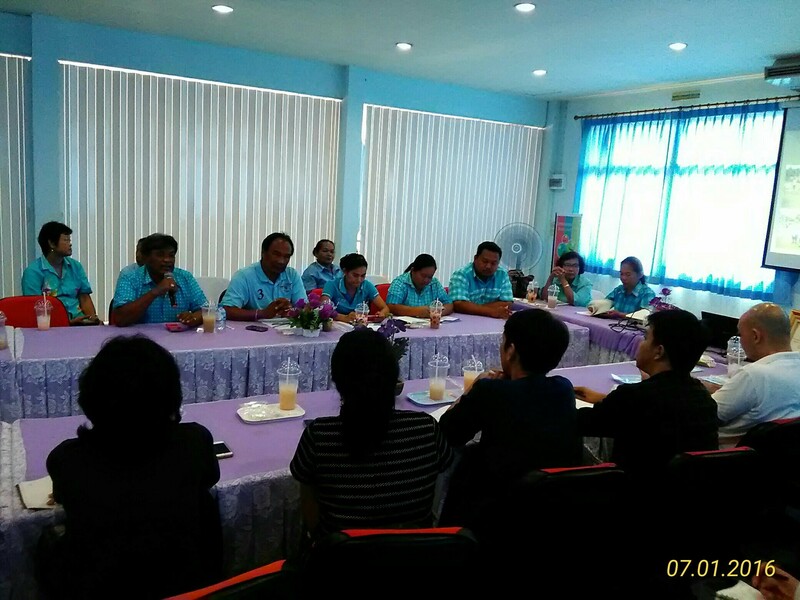 This workshop co-hosted by Asian Coalition for Housing Rights (ACHR), Community Organization Development Institute (CODI), The Association of Siamese Architects under Royal Patronage (ASA), Community Acts Netowork (CANThailand), Phranakhon Rajabhat University, civic group called “Chumsang my beloved” and Chumsang Municiplaity. 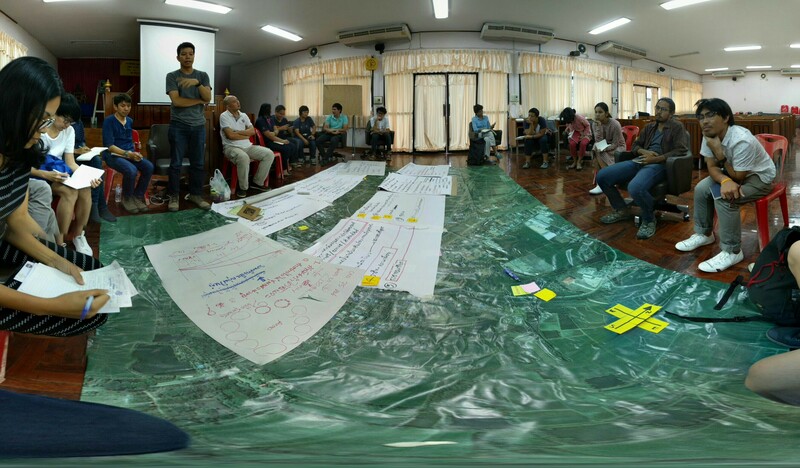 The workshop will be held from 14-21 July 2016 with numerous interesting activiteis, including a talk from ACHR-seniors- Arif Hasan, Kirtee Shah, and Somsook, a special seminar with Stanley Lung (Turenscape) and Dharmesh V. Jadeja (Auroville), and a forum with people of Chumseang.